The final bit of free DLC for The Witcher 3 is finally going to add a much needed New Game+ mode to the RPG, letting you take your beefy Geralt out on a brand new adventure. CD Projekt Red made the announcement yesterday, but didn’t really detail how the process worked. What level would you start at? How would the game be different? These are some of the questions players eagerly wanted answered, and there’s some clarity on the entire mode now. The Witcher 3 has no level cap, meaning you can meander around Novigrad endlessly and upgrade Geralt to your heart’s content. If you have been doing that, don’t stress – as long as you’re above level 30, your level won’t be affected when starting up a New Game+. If you’re below, you’ll receive a free bump up to 30 to be able to deal with the fiercer monsters you’ll face. Both instances will reward you with a Clearing Potion, which helps you reset all your skills for free. As expected, the game will be more difficult on New Game+, but it also gives you the chance to alter your difficulty settings at any point. 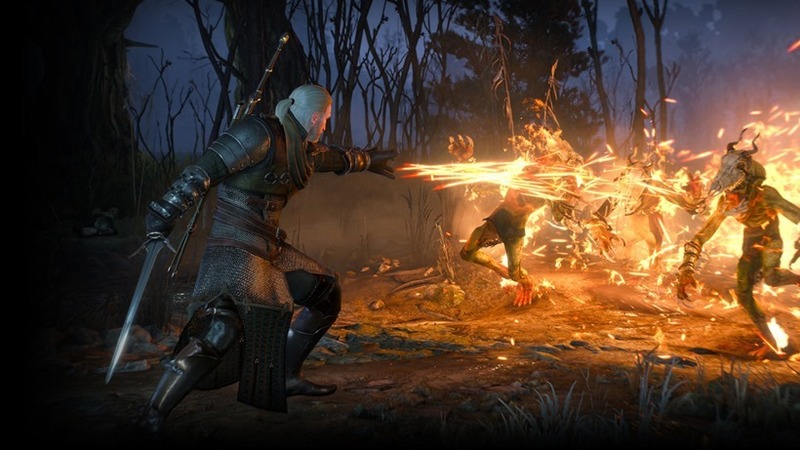 That means you can essentially hunt the more difficult achievements tied to modes like Death March – with your new, more experienced Geralt maybe being better suited to the task. All your money, crafting materials, equipment and loot will also make the transition over, but there are a few niggling exceptions. Quest items, of course, will stay behind, as well as any Gwent Cards you have, letters and books. It’s a bit depressing to start your Gwent collection from scratch again, but it’s not too surprising given their reliance on some major quests. Ultimately, there’s little reason not to begin a New Game+ as soon as the update launches. I do hope CD Projekt Red offer up some surprises with new Witcher equipment for truly high levels, but we’ll have to wait until they’re ready to show us more. Next article This red band trailer for THE NIGHT BEFORE came in like a wrecking ball!